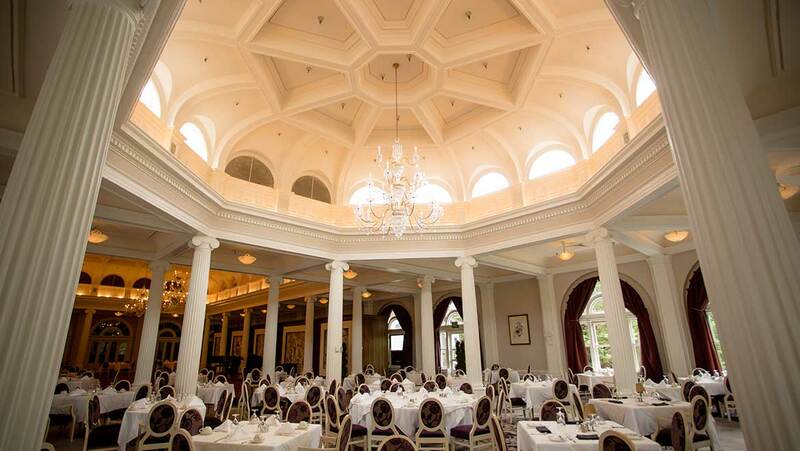 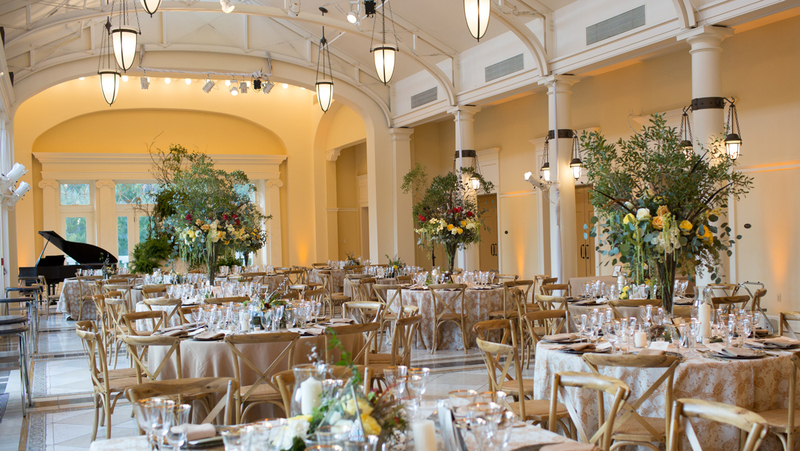 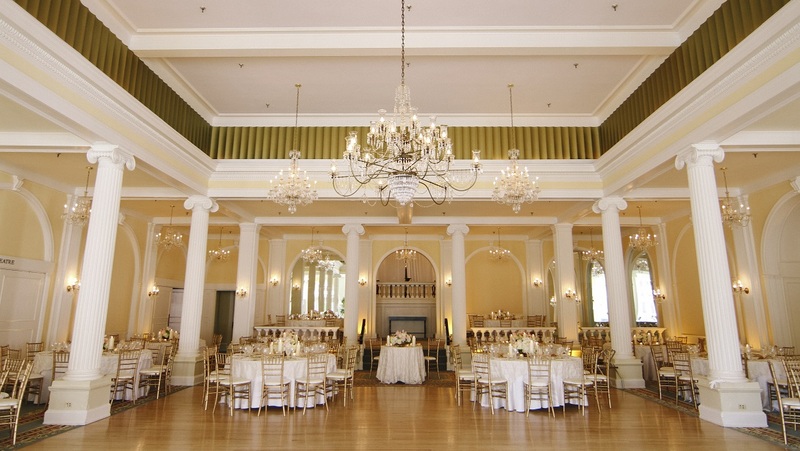 Wedding sites at The Omni Homestead Resort showcase our historic setting while catering to events of every size. 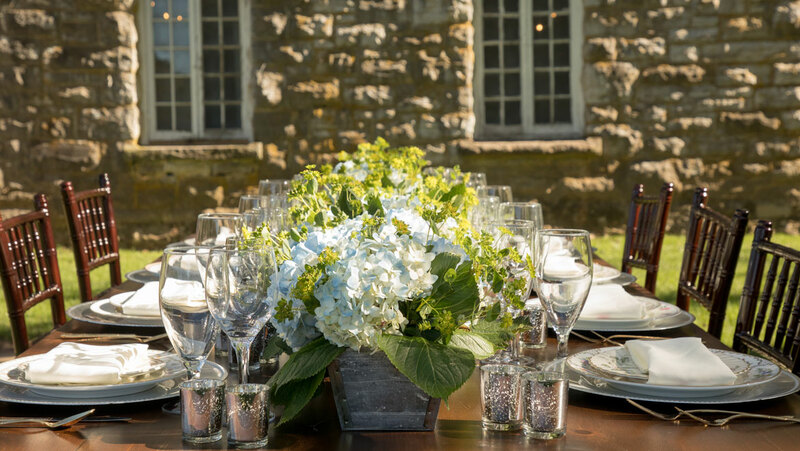 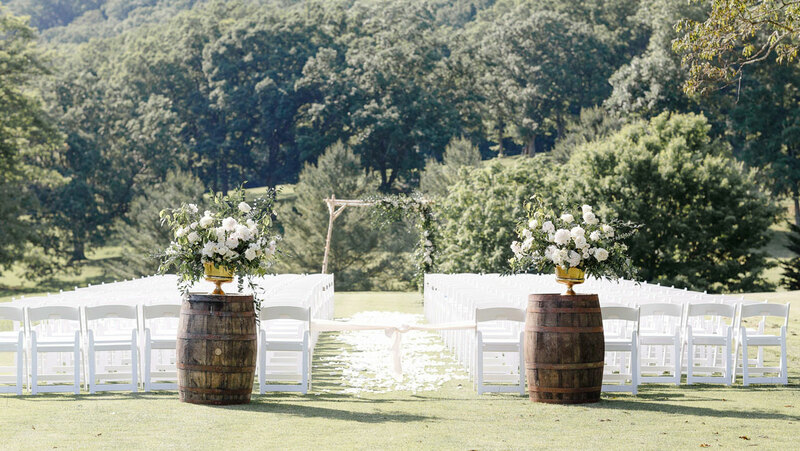 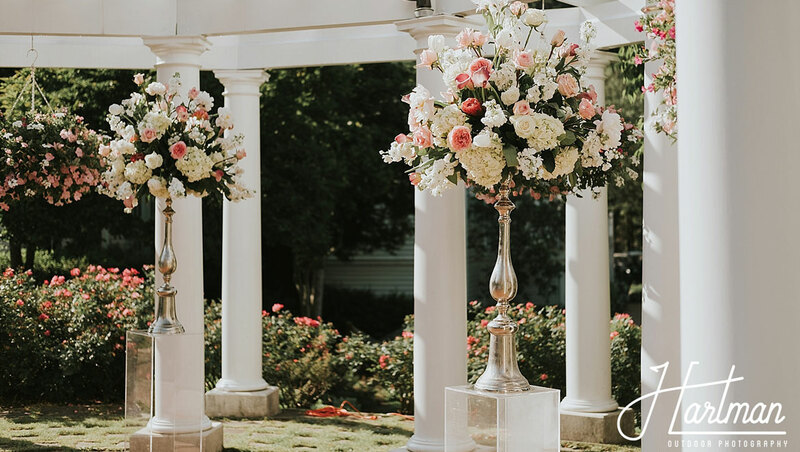 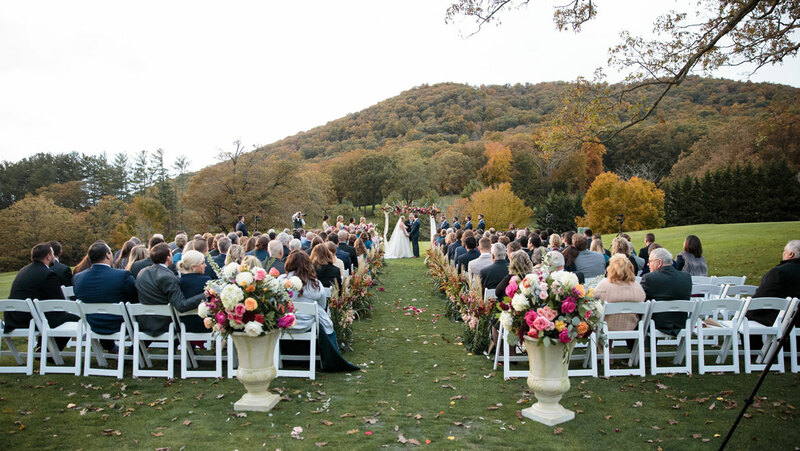 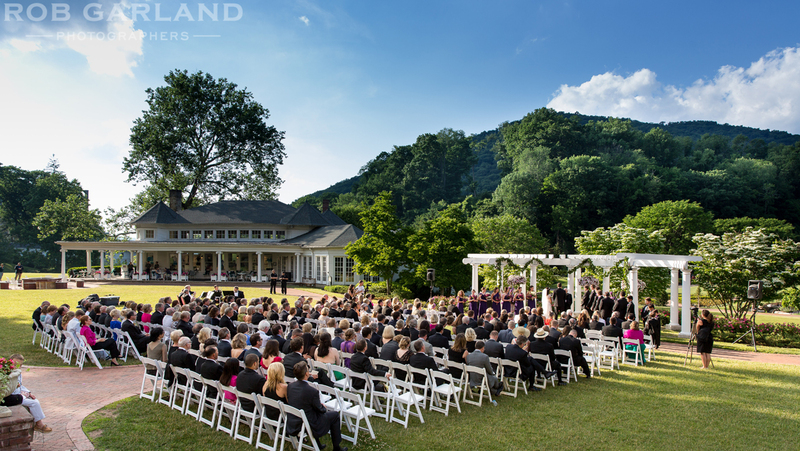 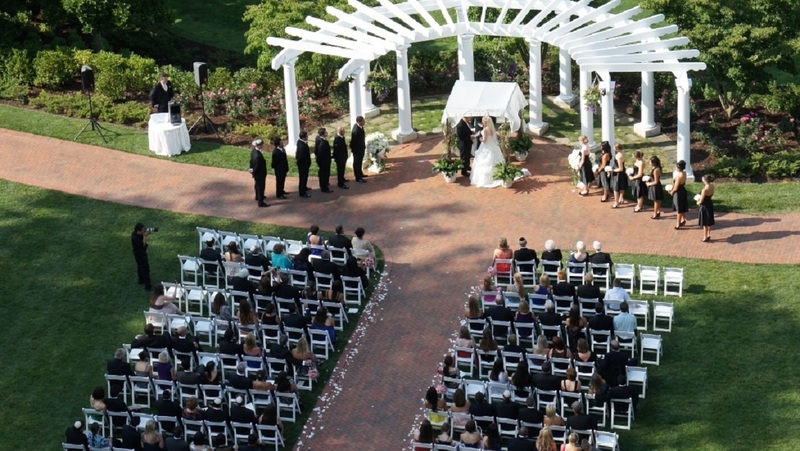 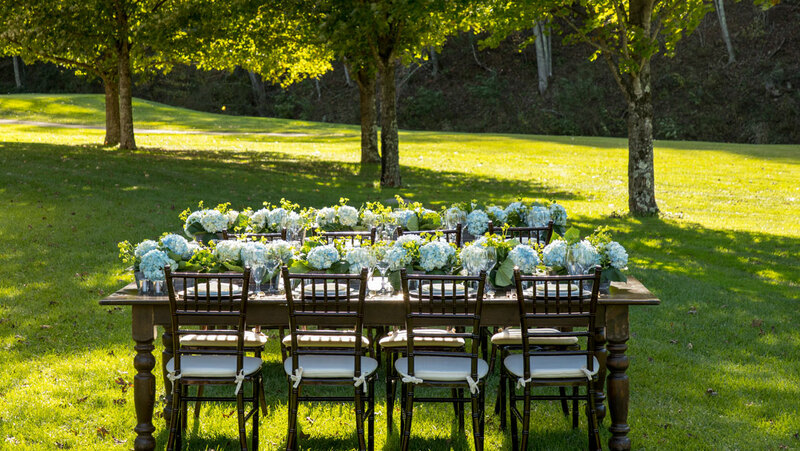 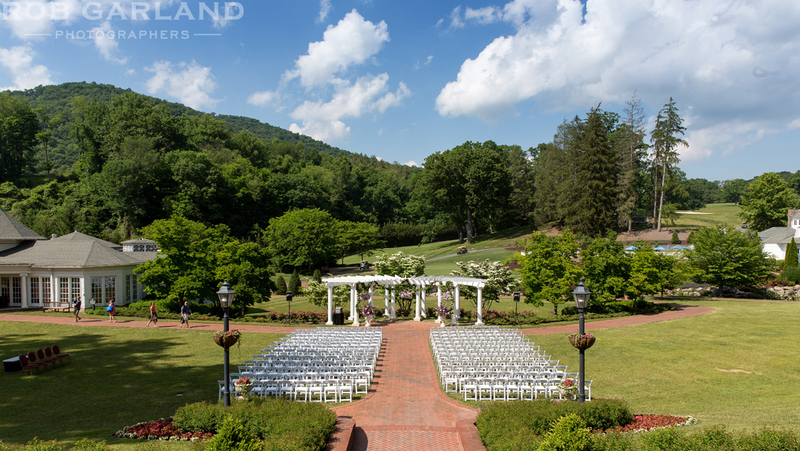 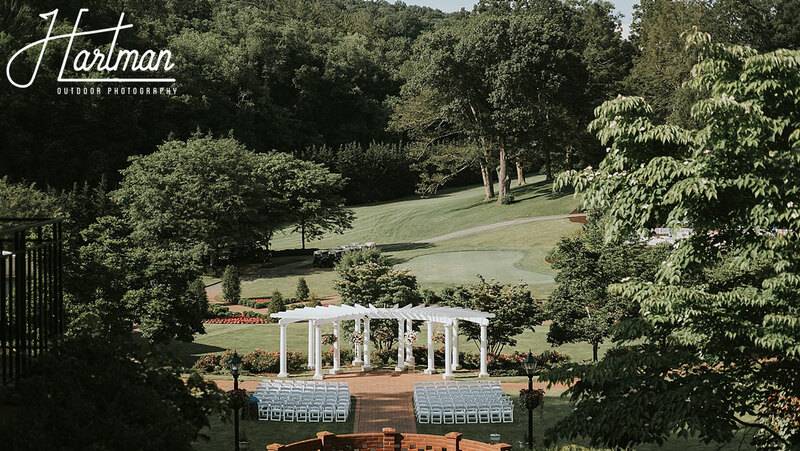 Choose from a wide array of indoor and outdoor venues ideal for an unforgettable Virginia wedding. 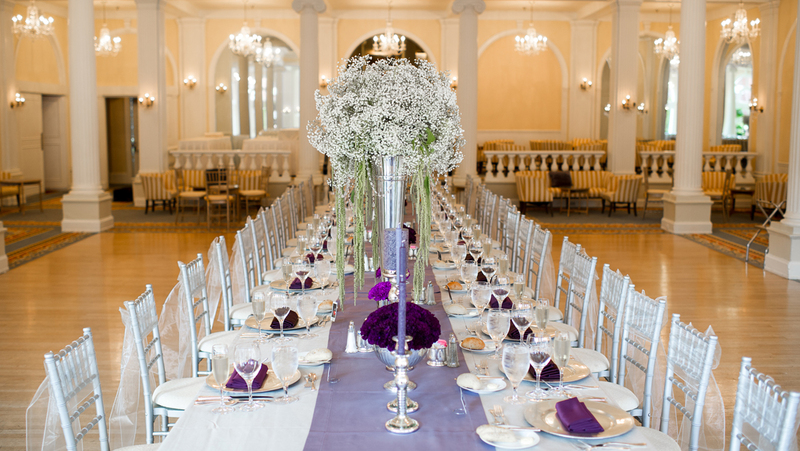 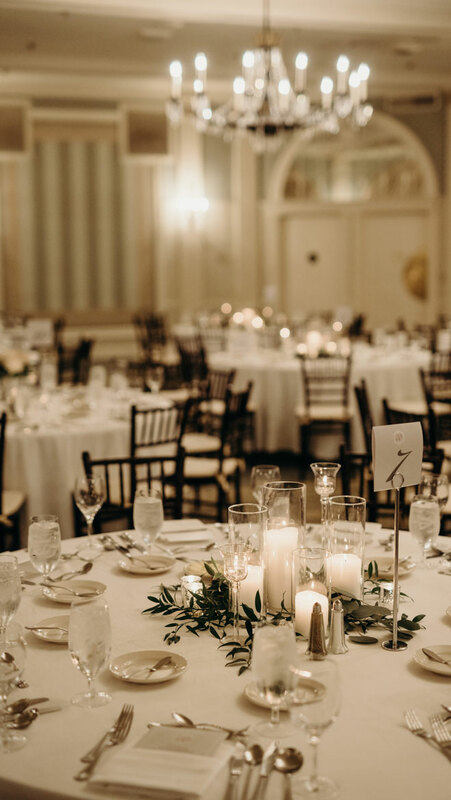 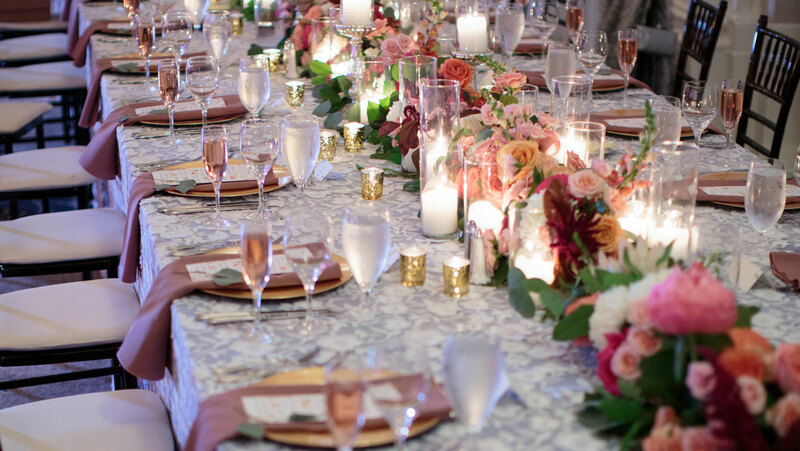 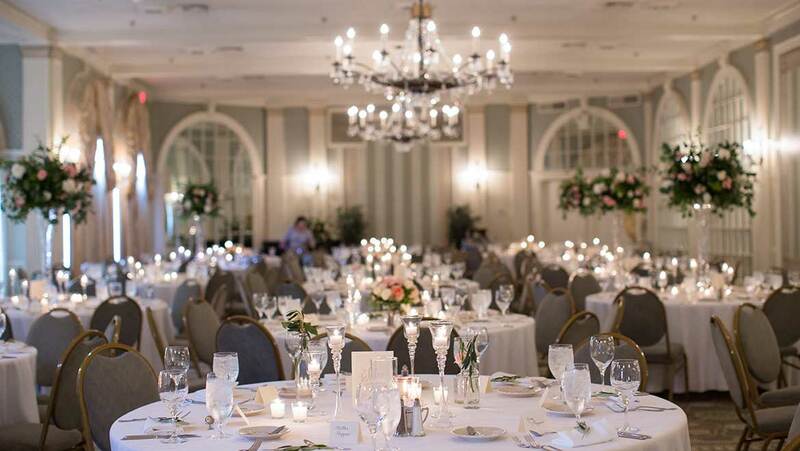 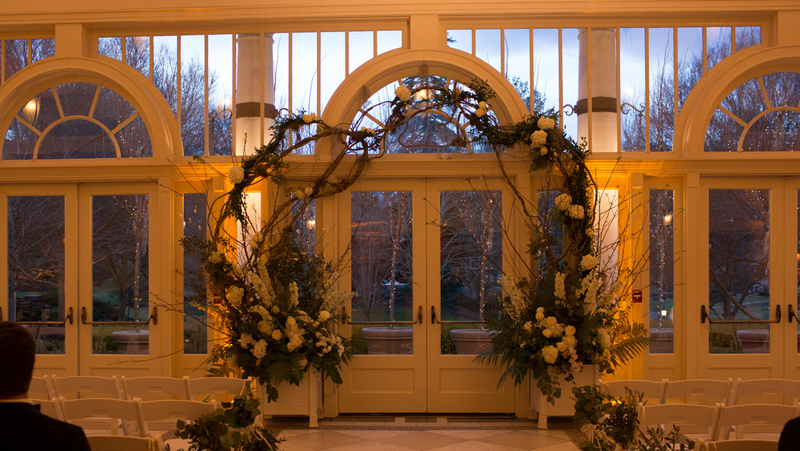 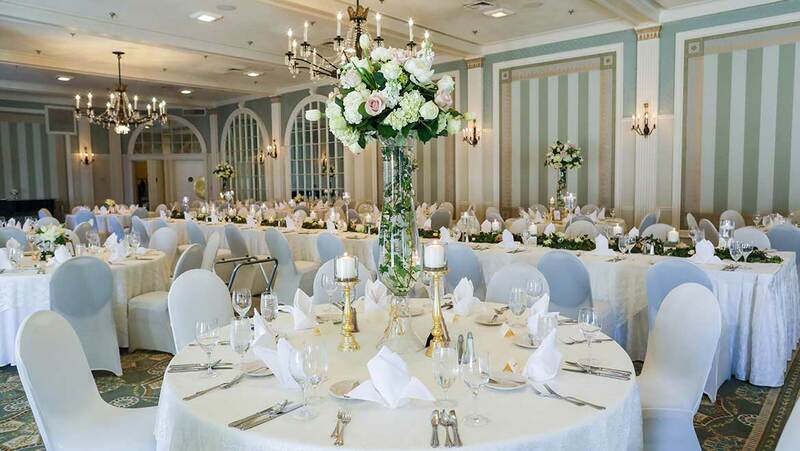 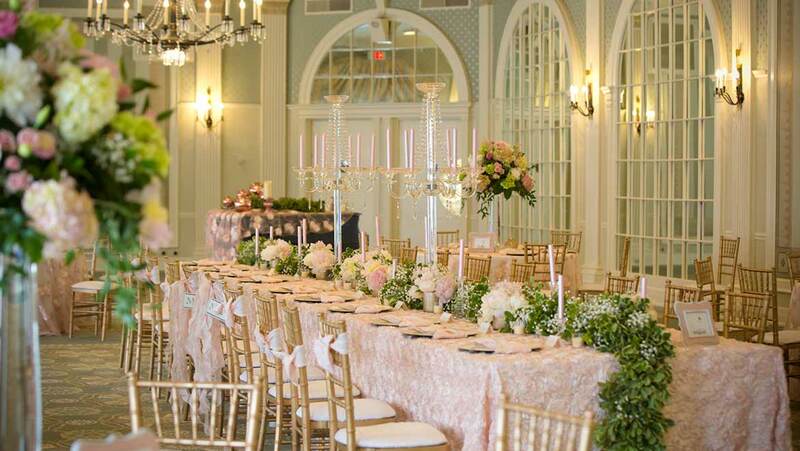 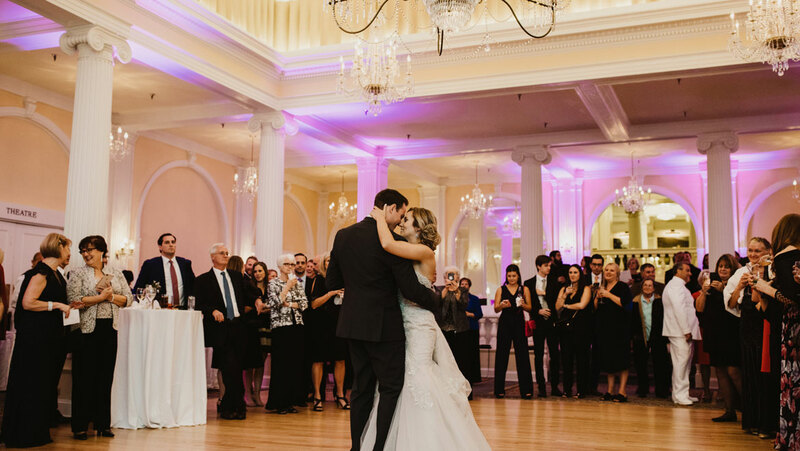 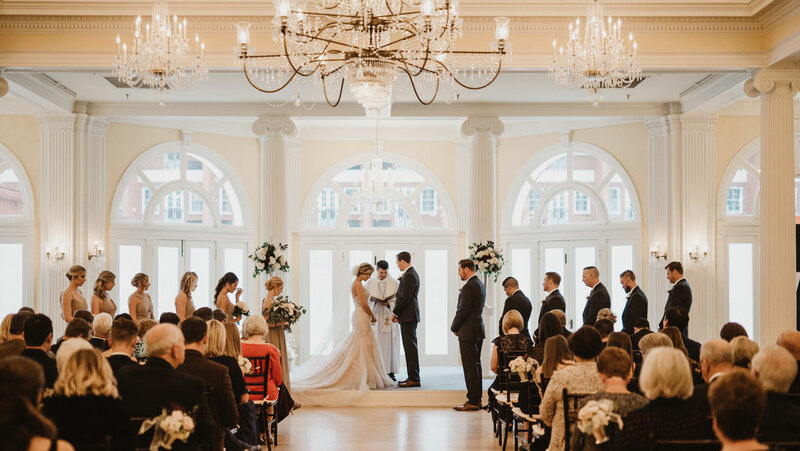 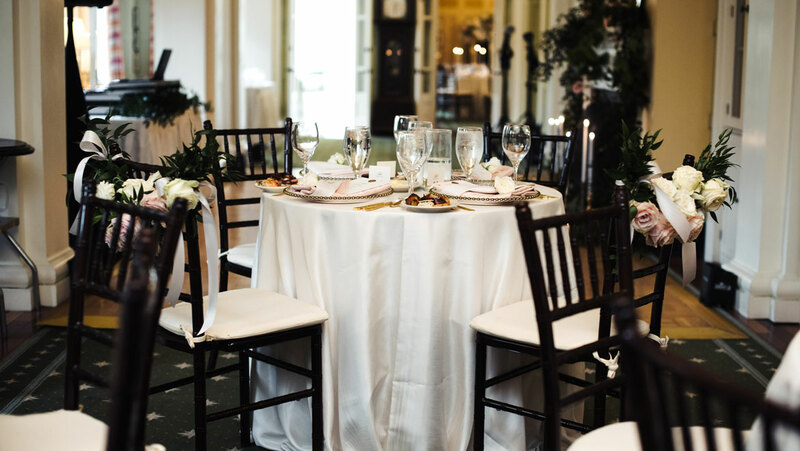 Whether you dream of exchanging vows in the traditional grandeur of our Crystal Room or on the picturesque lawn under the iconic Omni Homestead tower, you’ll find the perfect site for every aspect of your special day. 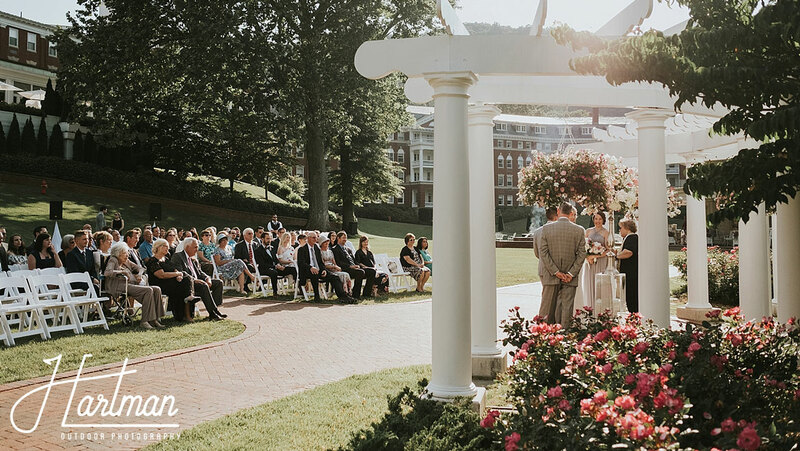 Surrounded by the wings of the resort and sitting directly under the iconic Omni Homestead tower, the Casino Lawn is the perfect setting for an outdoor function of any size. 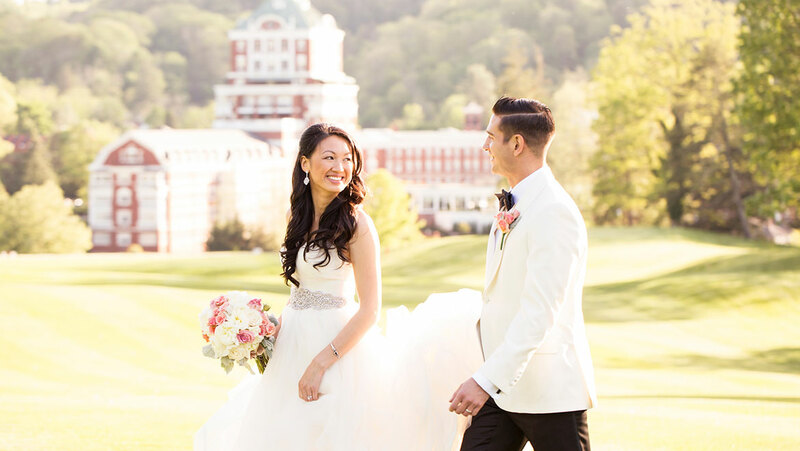 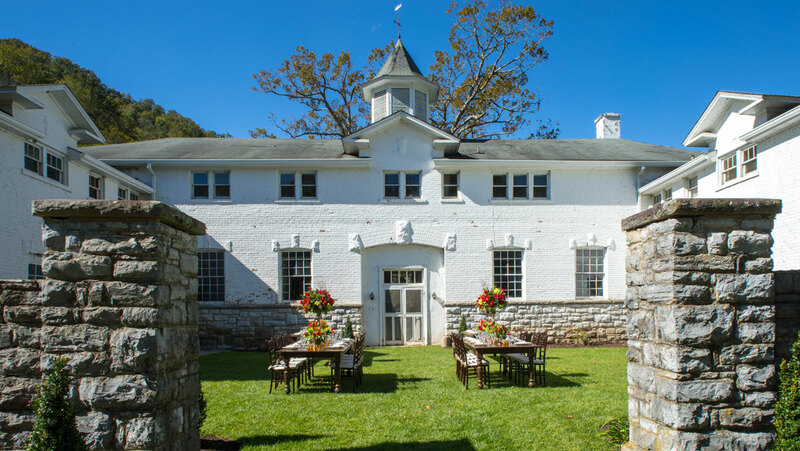 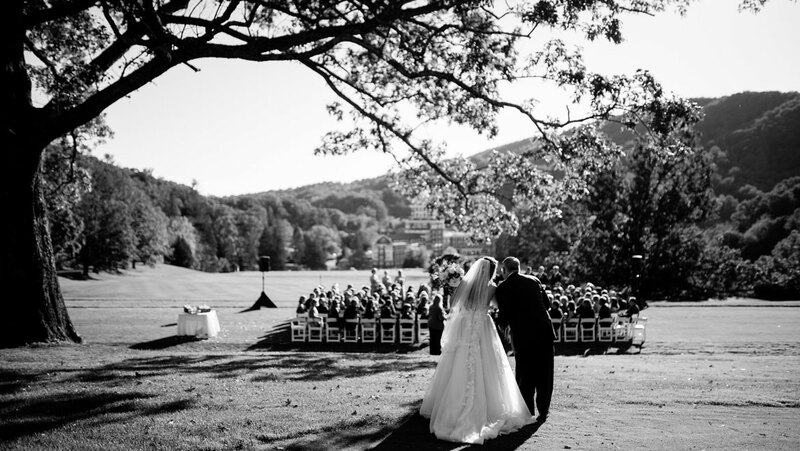 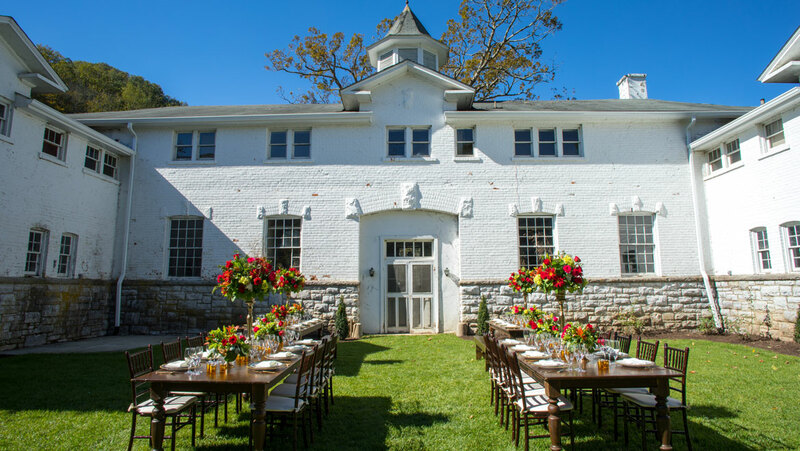 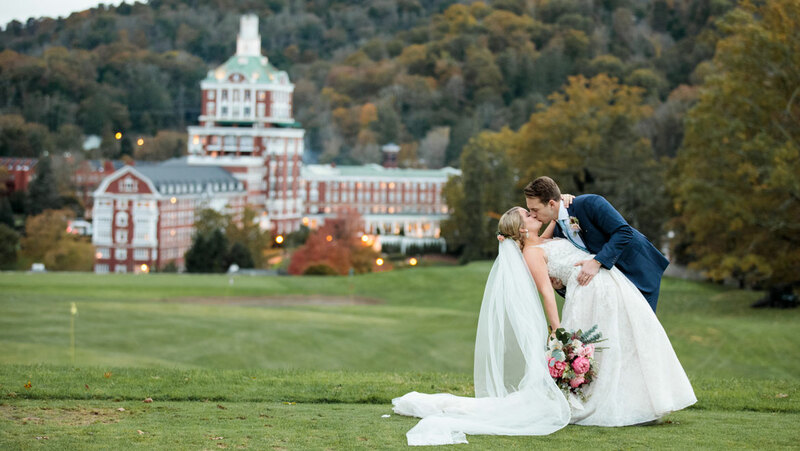 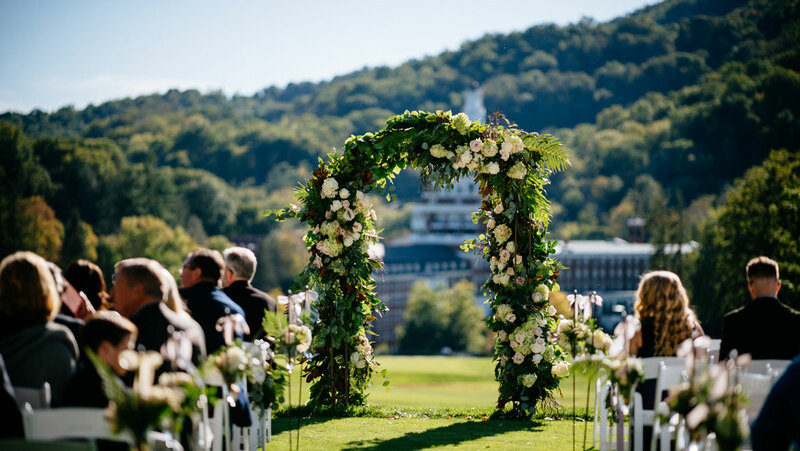 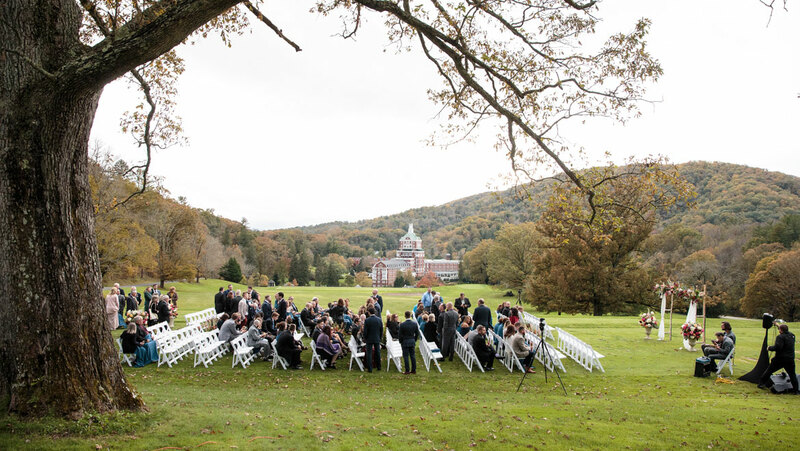 In the heart of the Allegheny Mountains with views of the entire iconic Omni Homestead Resort as your ceremony backdrop, the Golf Advantage School gives you and your guests an unforgettable view for your special day at a venue that is both breathtaking and private. 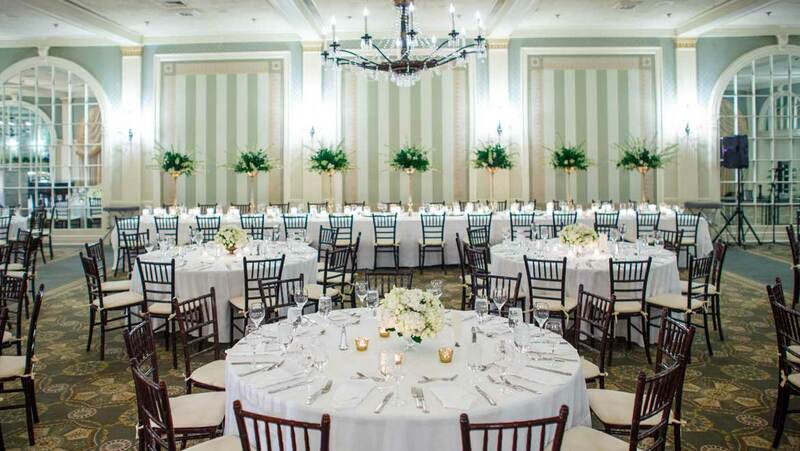 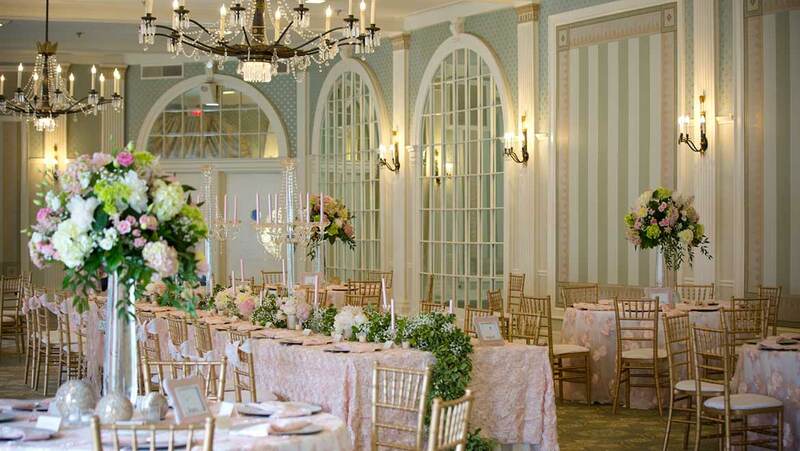 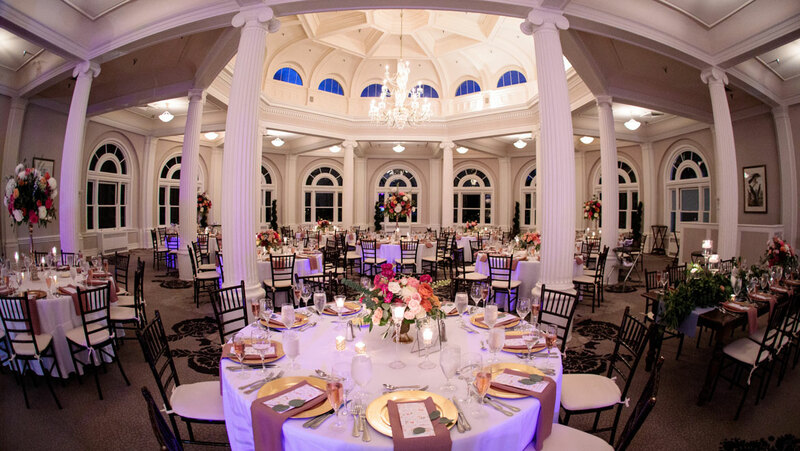 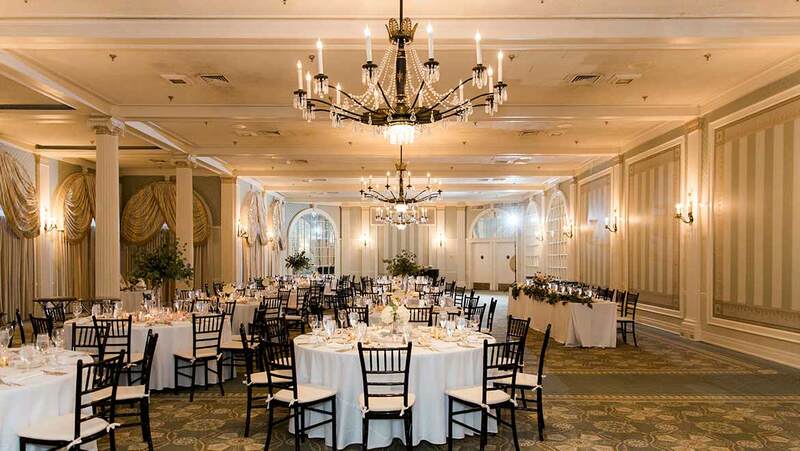 With its sweeping windows, tall pillars and chandeliers, the Crystal Room is often the room of choice for breaks and receptions and our number one requested location for weddings. 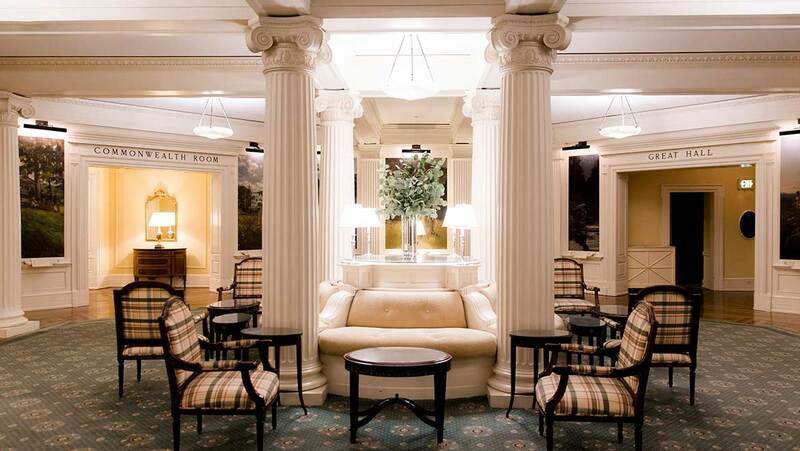 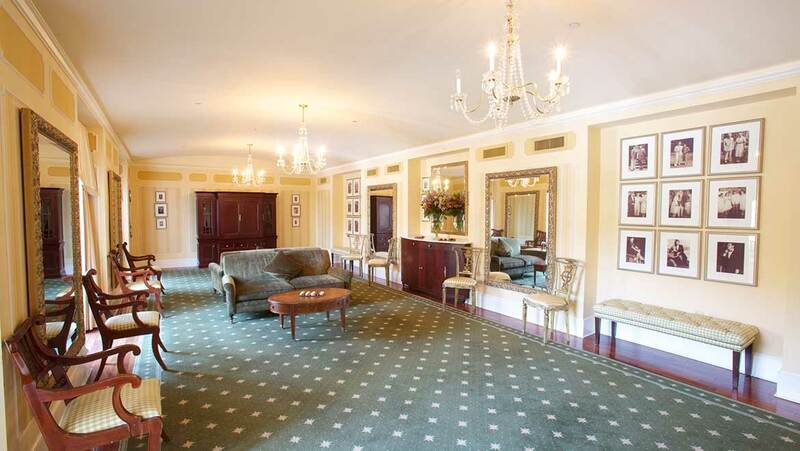 The Crystal Room adjoins the Empire Room and our historic theatre. 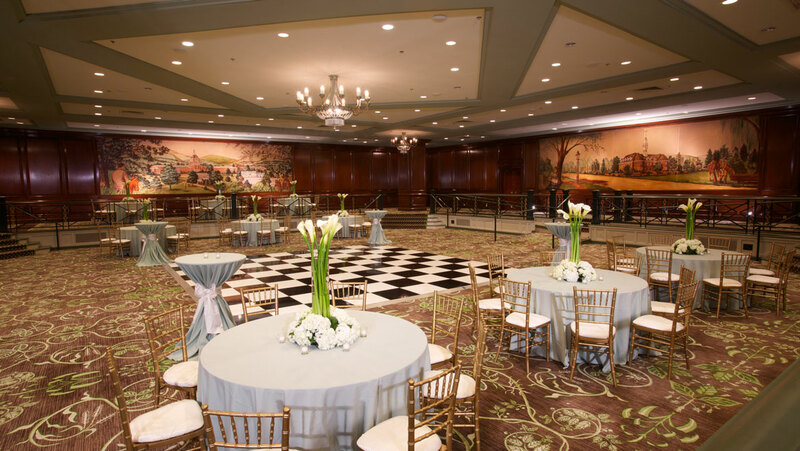 Adjoined to the Crystal Room, the Empire Room is perfect for classic receptions and meetings providing a quite, secluded space. 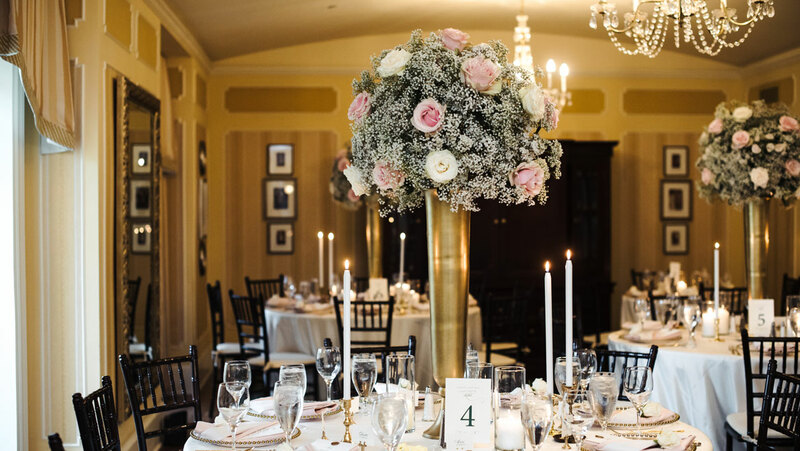 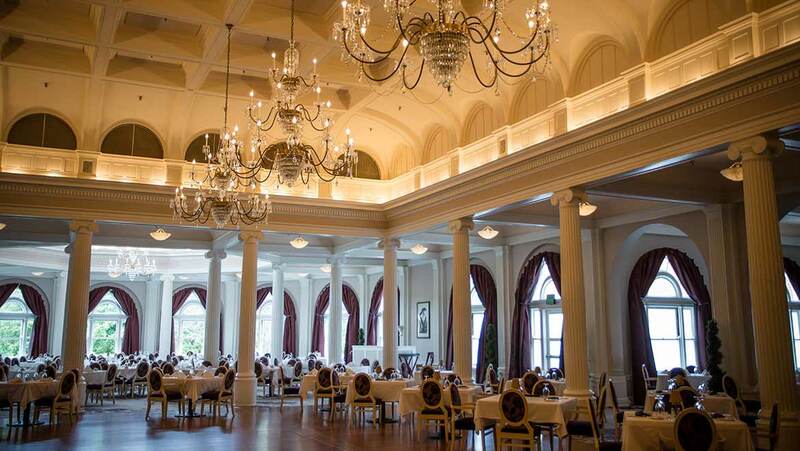 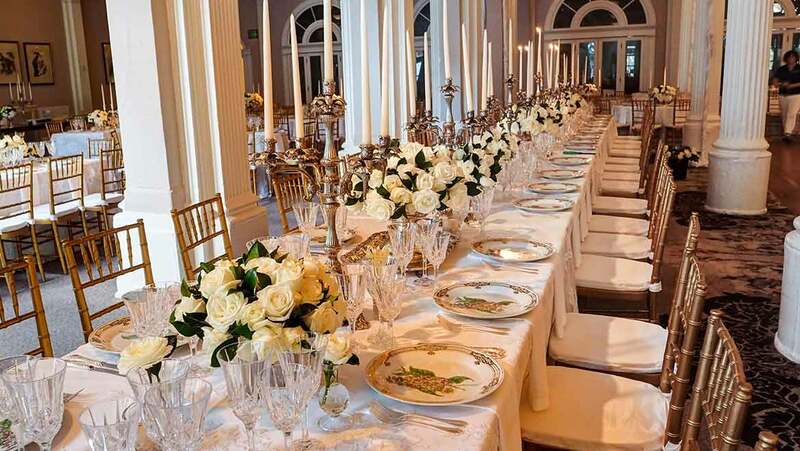 For more than a century, the Dining Room has evoked a sense of elegance and romance, offering exquisite continental cuisine and music for dancing. 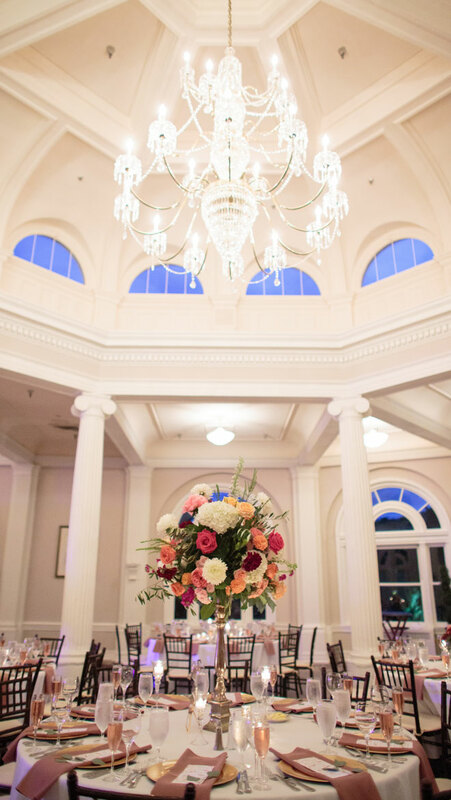 The windows of the beautiful domed ceiling and custom chandeliers add to the grandeur of the setting, which is perfect for a black-tie affair, reception or dinner. 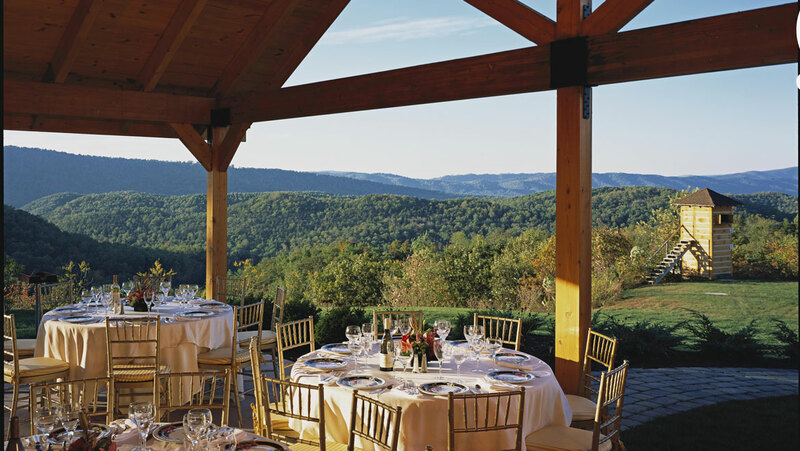 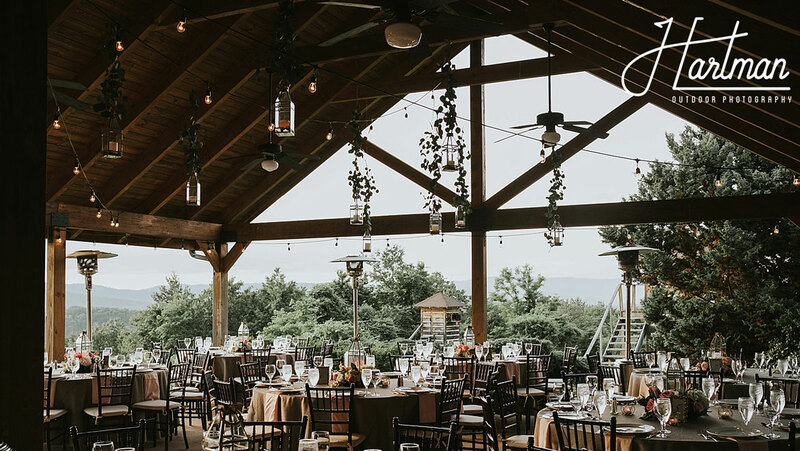 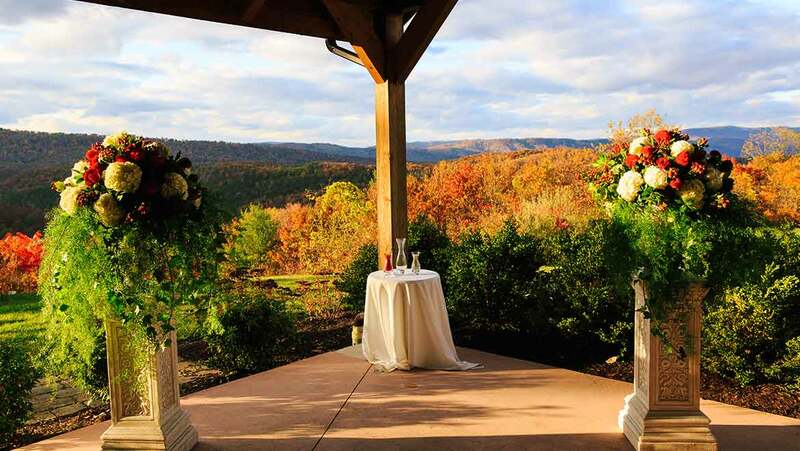 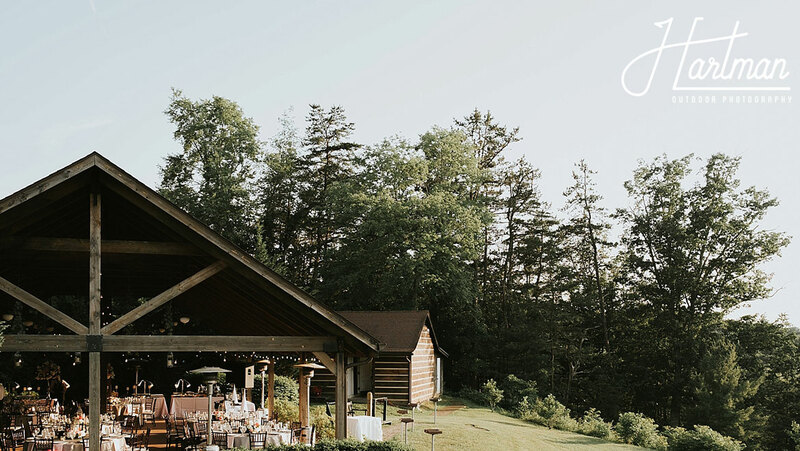 Overlooking the beautiful George Washington National Forest, the Shooting Club Pavilion offers the most breathtaking backdrop for a resort wedding. 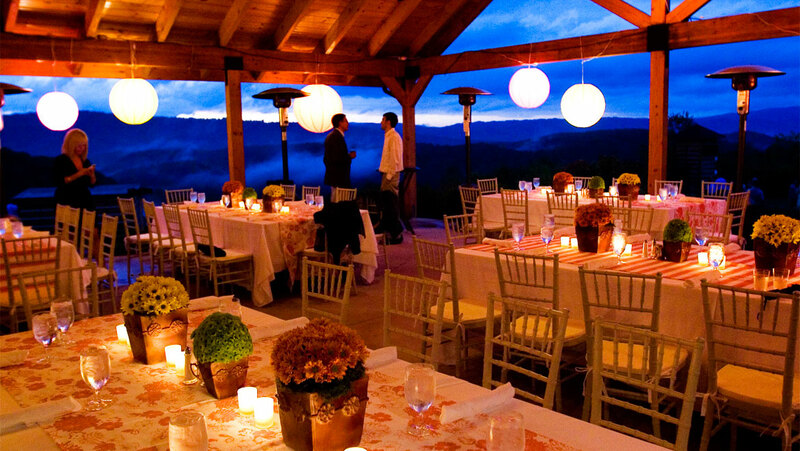 The pavilion has a rustic lodge atmosphere and guaranteed stunning sunsets. 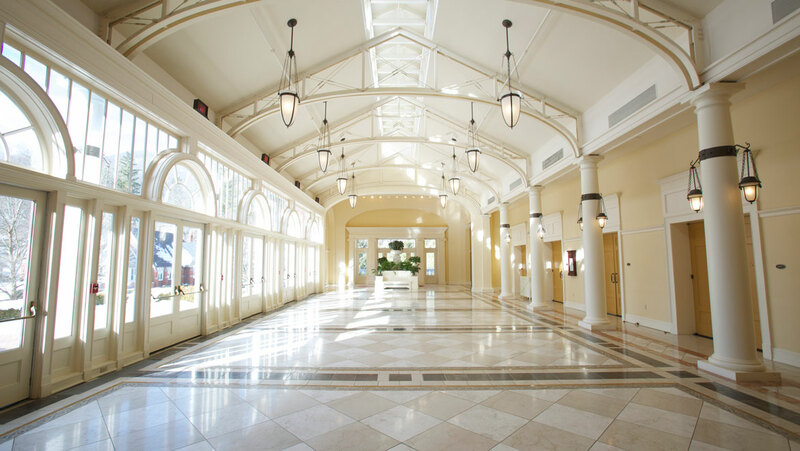 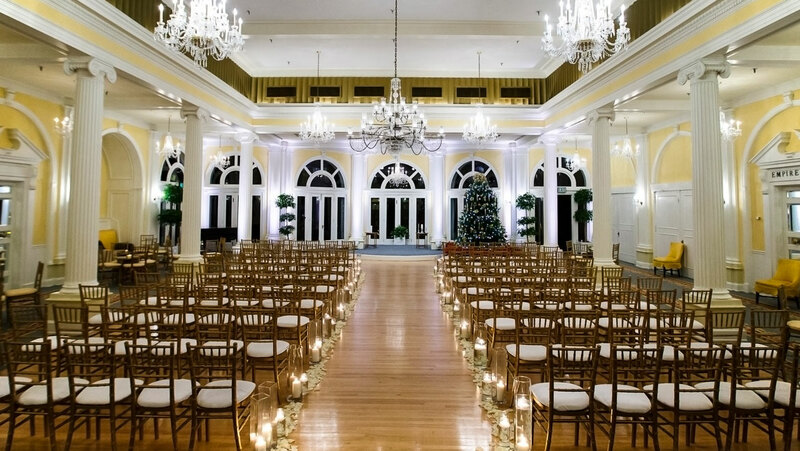 Built in 2001, the Grand Ballroom and Foyer feature many of the architectural details from the original hotel and offer a brightly lit solarium atmosphere as well as access to a sweeping patio. 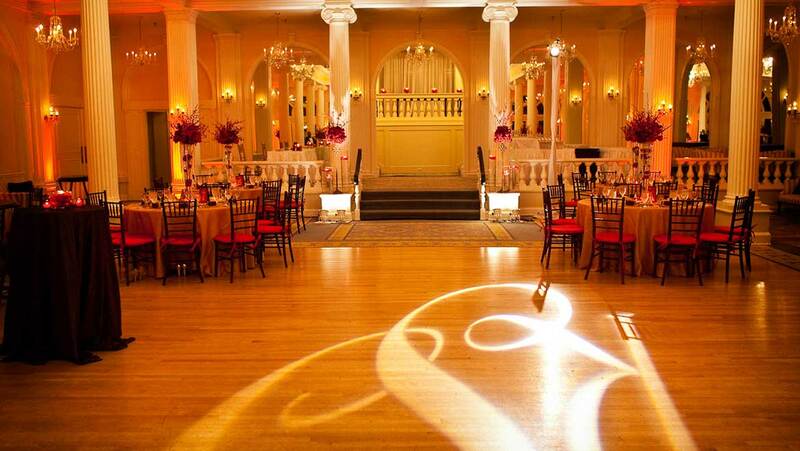 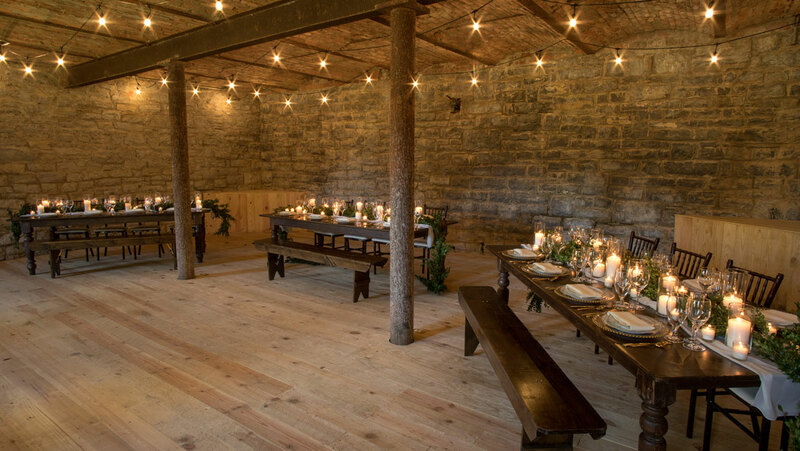 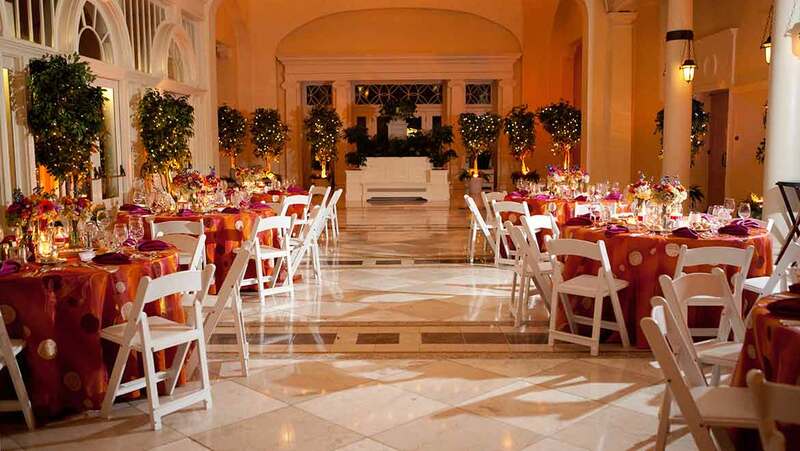 This flexible setting accommodates ceremonies, receptions and dinners. 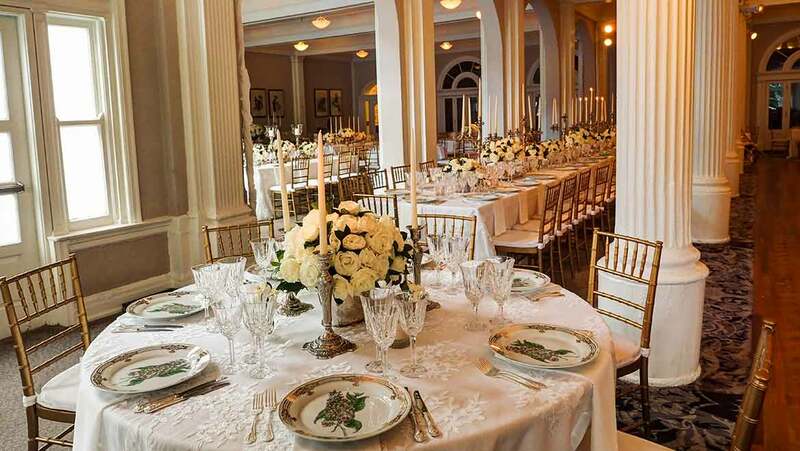 The Commonwealth Room is our standing tribute to historic Virginia. 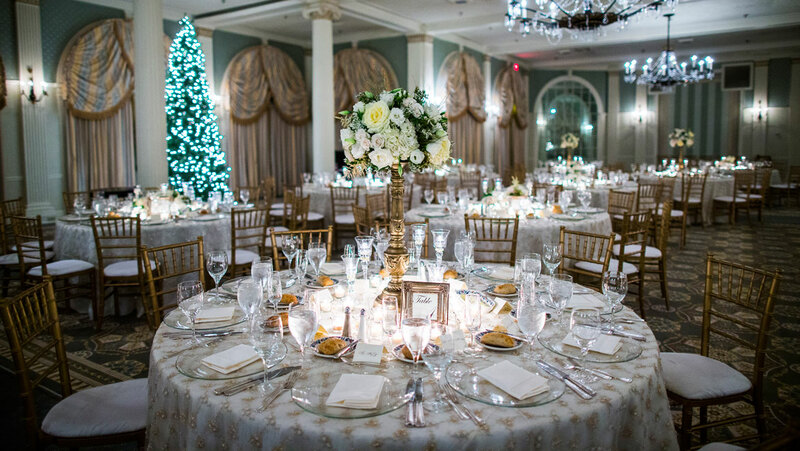 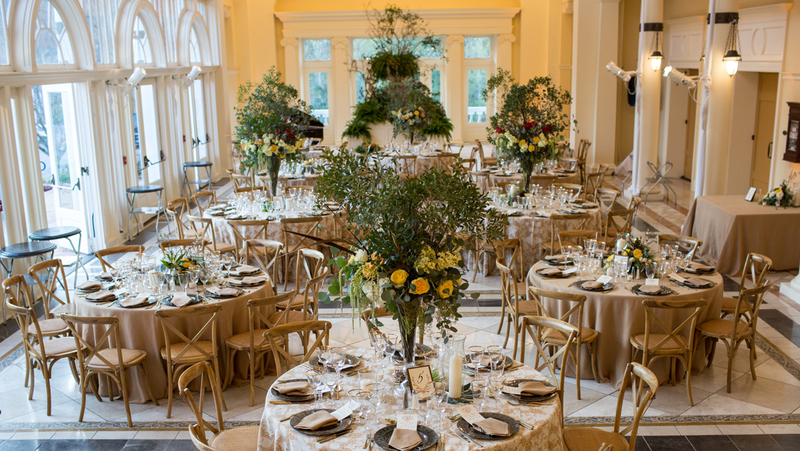 Commonwealth-inspired decorations reach from ceiling to floor, seating guests among sweeping murals of The Omni Homestead, Mt. 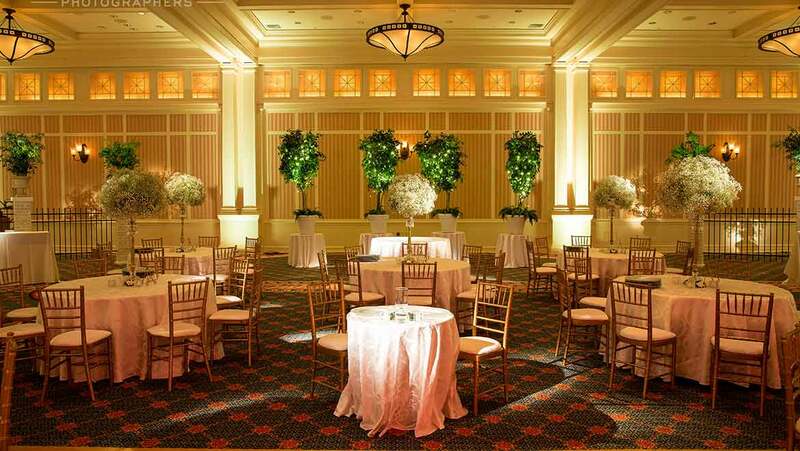 Vernon plantation and colonial Williamsburg, as well as carpeting patterned with corn, tobacco and peanut fleurons. 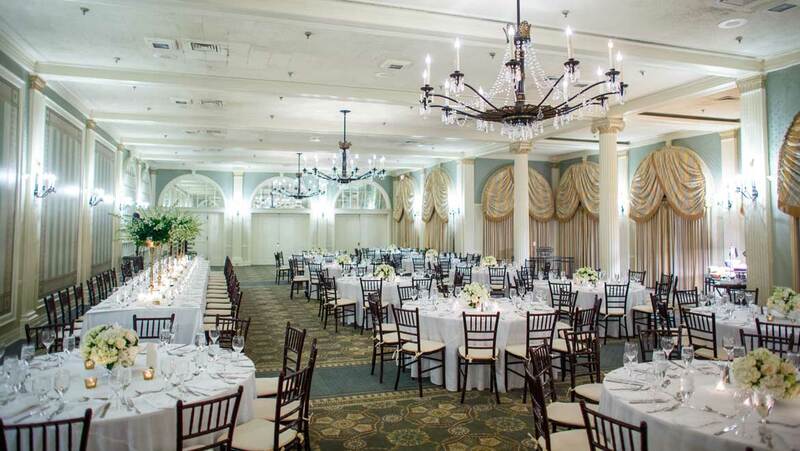 Plush furnishings, bold accents and colonial flare hallmark the Tower Suite. 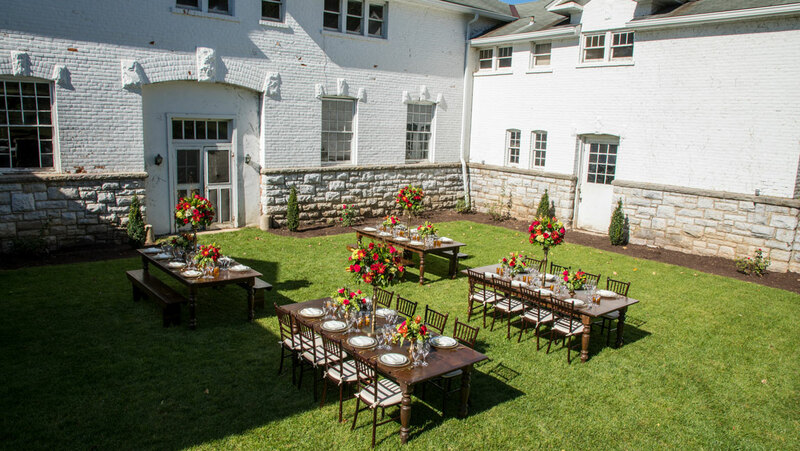 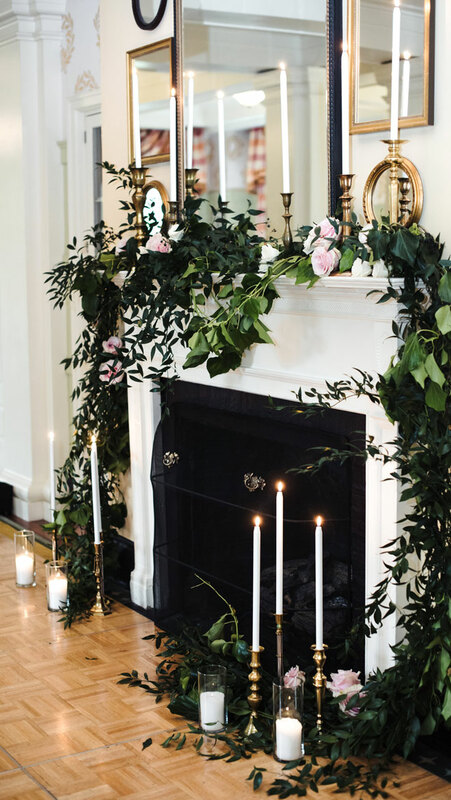 Complete with a private sunroom and fireplace, this intimate setting is located in the historic East Wing.